We visited an organic farm in Panjin, that is run by a Christian. 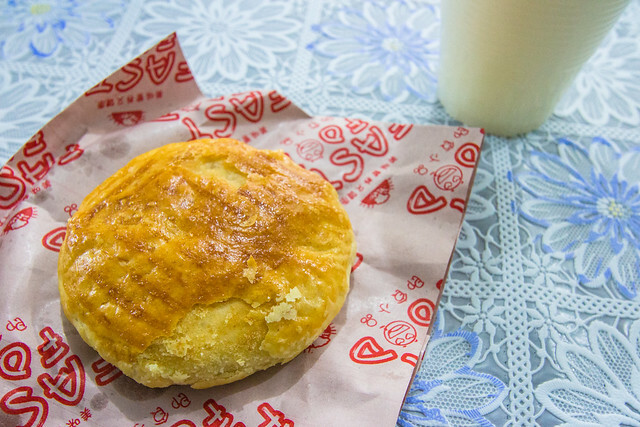 We were given fresh, warm rice milk (米浆) and a pie (饼) similar to the Cantonese husband/wife cake. Shown above is the warm rice milk. 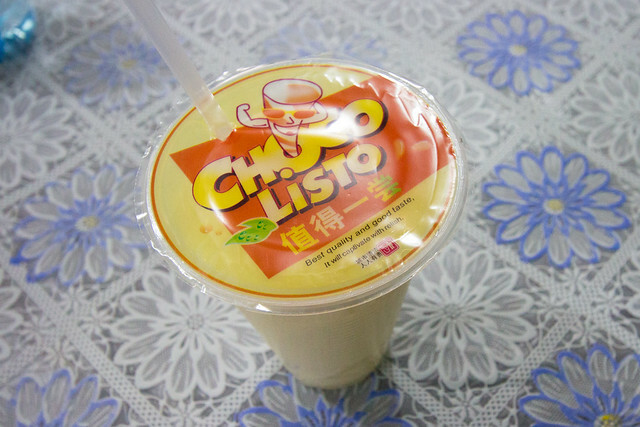 I have no idea why the lid says “Choco Listo”, which appears to be a Colombian chocolate drink. However, the Chinese phrase on the lid (值得一尝) translates to “worth a taste”. The drink was organic rice milk, and it was thick with a grainy taste to it. The texture and taste reminded me so much of the Cantonese sweet walnut paste/soup (合桃糊/核桃糊) my mom made at home for family friends. 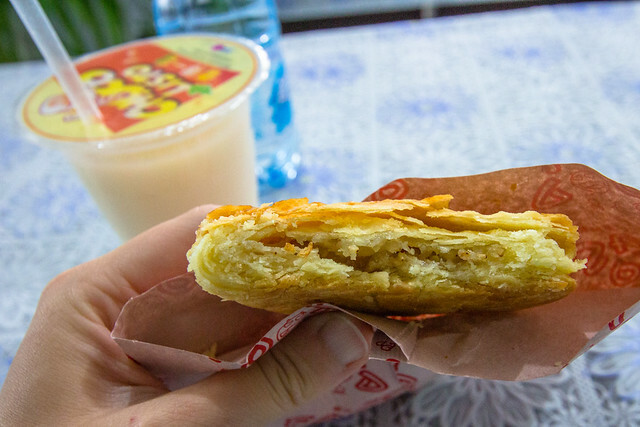 We were also given a snack, which resembled the Cantonese husband/wife cake (老公饼/老婆饼).The wife cake has a wintermelon filling, whereas the husband cake has a red bean paste filling. The snack we were given had the same kind of outer, flaky crust but had a different filling. I don’t know exactly what kind of filling it was, but it was sweet and savory.